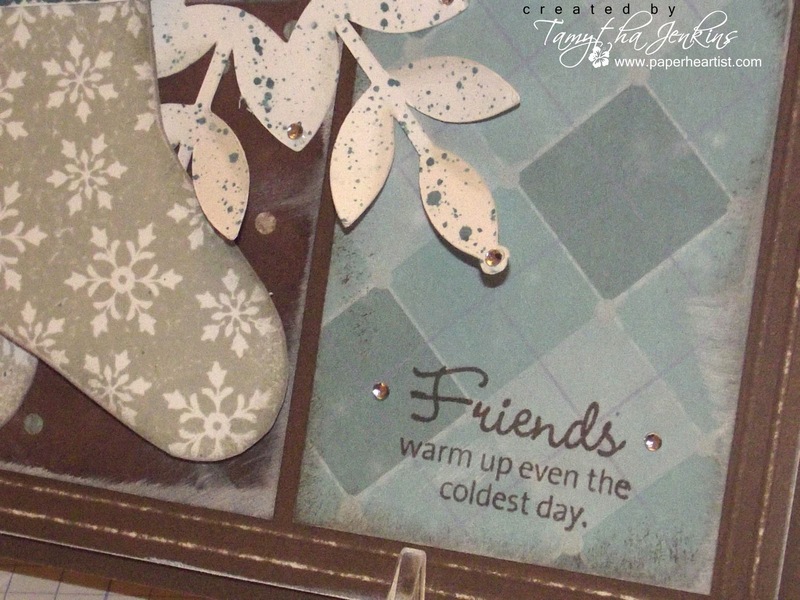 Welcome to the CTMH October Stamp of the Month Blog Hop! The blog hop makes a circle so if you are starting here just continue until you make your way back and you will have made it through them all. 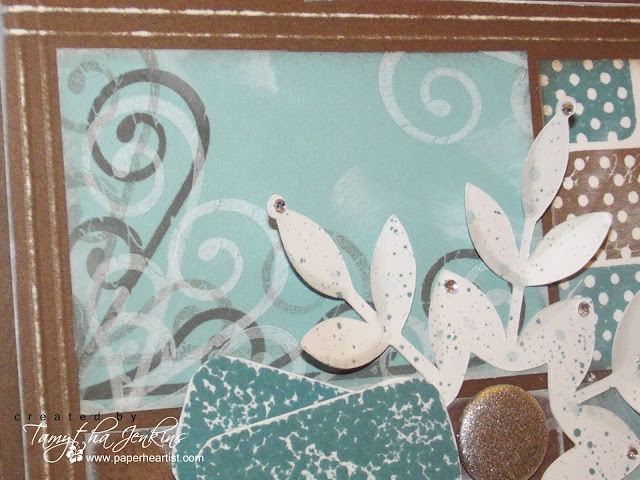 If you have already started and are coming from Katy Donaldson's blog, "An Inside to My Heart - One Scrap at a Time", then you are on the right track. I had several ideas of how I wanted to use this stamp set. 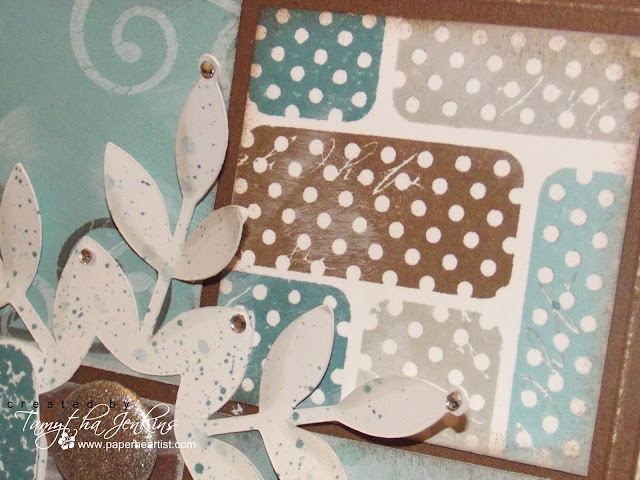 I had thought about using the triangles to create a pennant on a scrapbook page. I also thought about using them, or even the ticket looking images, to create a border for a scrapbook page. However, since I've made over a dozen layouts in the past month and not one card in that time, I decided to go with a card. 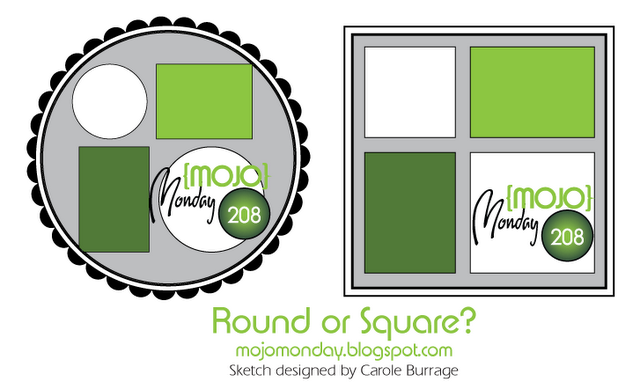 I needed some inspiration for a jumping off point, so I checked out this week's Mojo Monday Sketch #208 (see below). After selecting my paper, the card just kind of fell into place. I am really, really pleased with how it turned out, especially with several of the elements. The first element I'm pleased with is the random stamping of the ticket-looking image (stocking cuff). I random stamped on White Daisy cardstock two different ways: one in a brick pattern, and one in more of an interlocking pattern, which is the one I went with. The second element that I really like is the random stamping of the sleigh base (I'm sure it has a proper name, but hey...I'm from Florida...I don't have a clue what they are called). I stamped on a piece of Crystal Blue cardstock with chocolate ink in first and second generation, then with white pigment ink. My favorite element was actually a happy accident. Don't you just love happy accidents? I wanted to create a cuff for the socks, but I didn't want to use the polka dots, as I felt it would be distracting with polka dots in the corner and a snowflake print on the socks. So I turned the stamp over, with the intentions of inking it in Twilight ink (so there would be a solid color) and then stamping the small snowflake stamp onto the inked surface to remove some of the ink and leave a snowflake image on the solid image (Does that make sense?). However, before I could finish stamping the snowflakes, the ink puddled up on the image, which really annoyed me at first. But when I stamped the ink...to try it again...I liked it! It kind of looked woolly to me, so I went with it and absolute LOVE it! Another couple of techniques that I used and that you can see in the photo above, includes rubbing White Daisy pigment ink directly onto the papers to create a distress, but kind of snowy effect. I also used my Cricut Art Philosophy cartridge to cut the snowflake (Snowflake #2-Shift-Layer). I then used my waterbrush to pick up some Grey Flannel ink off the inside of the stamp pad lid and lightly applied it to the left side of each snowflake "petal". Next, I picked up a generous amount of Twilight ink with my waterbrush and then splattered the snowflake. 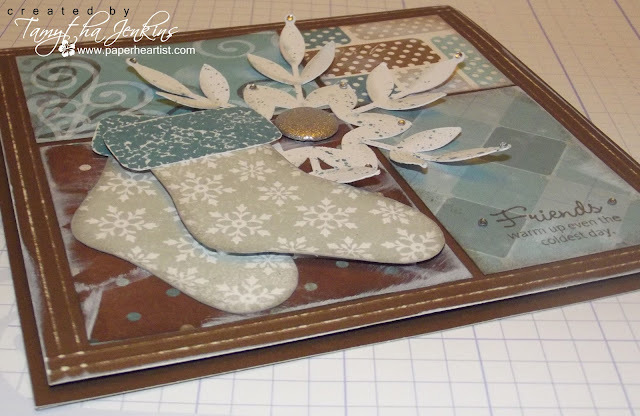 I created dimension by embossing and sanding the 5 3/4" x 5 3/4" panel and using foam tape to adhere it onto the 6 x 6 card. I also popped the top sock and only adhered the center of the snowflake and gently bending the "petals" up. Remember, if you love what you've seen so far along your SOTM Blog Hop journey, and you want your own "Holiday Magic" stamp set or want to get it for the amazingly low price of $5, be sure to contact your Close To My Heart Independent Consultant. If you don't already have a consultant, I'd love to be yours. You can find details on the "Stamp of the Month" here on my blog, or by clicking on the "Stamp of the Month" tab at the top of the page or by clicking on the "Shop with Me" link near the top right. Of course, if you have any questions, please don't hesitate to contact me. If you have time, take a moment or two to check out the rest of my blog. If you enjoy your visit, then please consider "Following Me", signing up to receive blog updates, and/or leaving a comment (we all love comments...the nice ones anyway), then be sure to continue along on the hop by heading over to Paige Dolecki's blog, "Paige's Paper Paradise" and check out her creation. Be sure to come back on October 1st for news on a how to enter to receive your own Cricut Art Philosophy Collection for free! Oh, this is way cute! 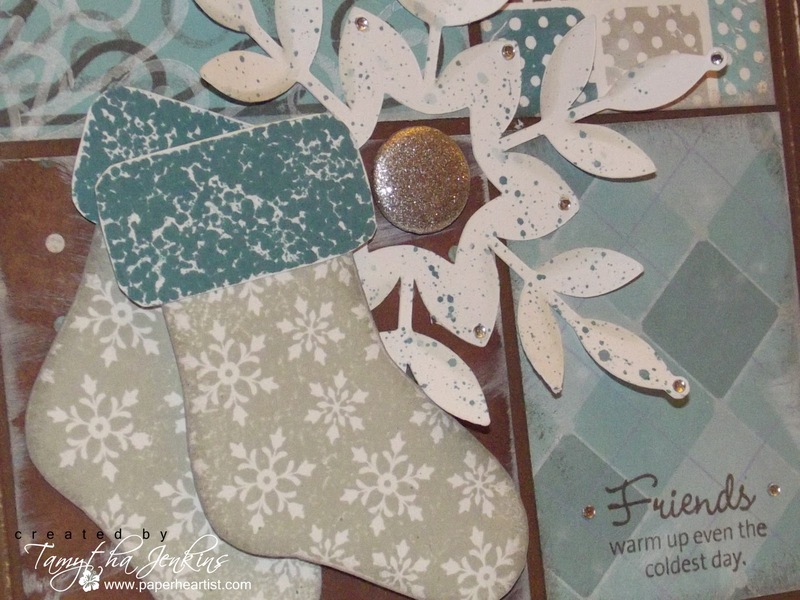 love the stamping you did with the top of the stocking for a background! Gorgeous! This card deserves a frame so it can be enjoyed during the holidays. Love it! Colors are fabulous. I absolutely LOVE the colors. This card is fantastic from top to bottom! Very smart to create a SOTM example that doubles as a Mojo Monday entry! I might have to try and achieve that sometime too! :) I LOVE what you made! Simply Beautiful! Beautiful card!!! Love all the different techniques. So Pretty!! the techniques you used are great! I love the color combo, and the brick pattern with the cuff! Great card. Love all the techniques you incorporated into your card. Wonderful card - LOVE what you did with the stocking cuff image! Beautiful! I love the colours and all your stamping. Very pretty card. Going to have to try your technique for the cuff of the stocking. I do love happy little accidents. Fantastic techniques and I love the Mojo Monday sketch...worked out beautifully! This is SO adorable I thought it was wall art! I love every element of this and especially the way you used the SOTM! 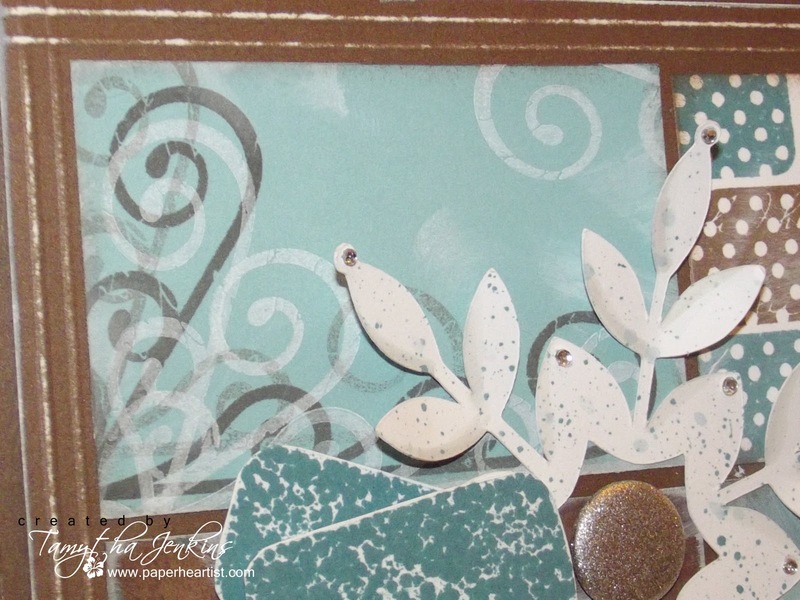 I am using your idea in a card workshop (but I'm using up older paper--Aspen). Hope it looks half as cute as your card does!! Incredibly professional. And GREAT tips. Thank you so much! Finally had a chance to get caught up on leaving comments...this card is spectacular! 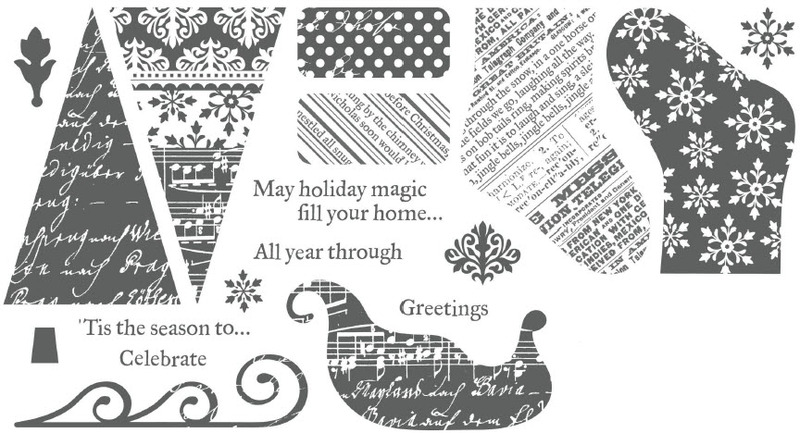 There are so many things I just adore about it...from the stamping of the sleigh's rails to the way the stocking cuffs came out, it's really pretty. Thinking of casing this as a home decor gift. Thank you for sharing all the details - I appreciate YOU!